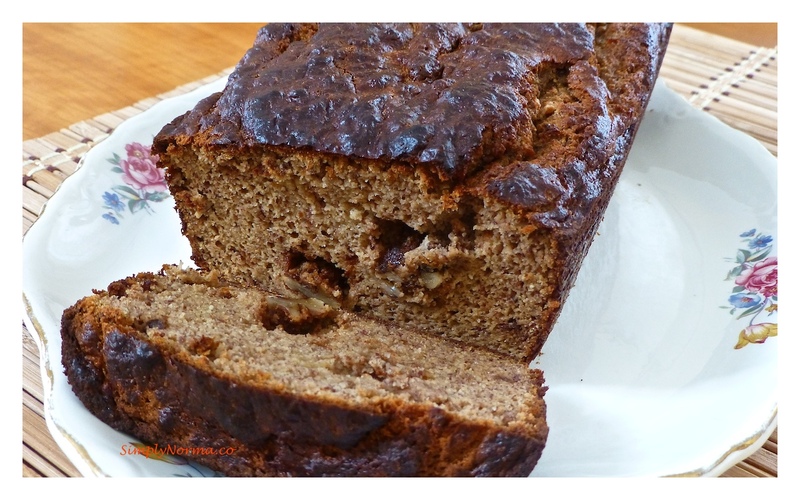 Surprisingly, this paleo Banana Bread came out quite delicious. How do I know? Because my husband likes it and he doesn’t much like the coconut flour that is used in paleo baking. So — this is a “must try” for you. I did change the recipe a tad — but only a tad. 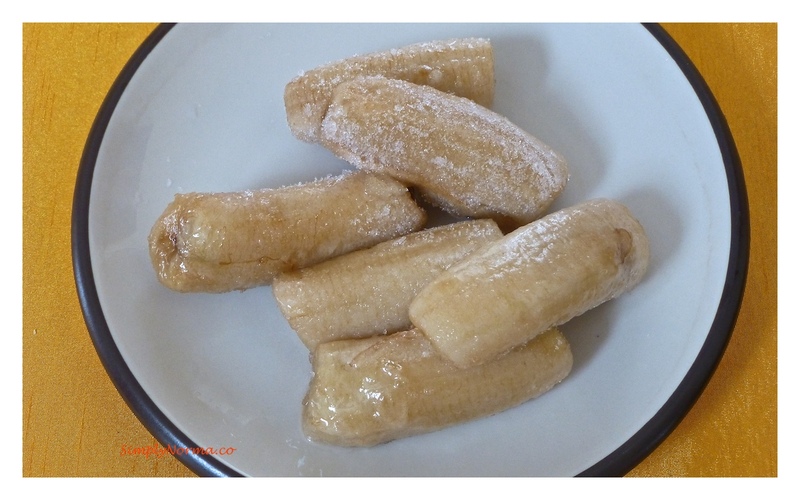 But, of course, we can’t forget the main ingredient which are the bananas. 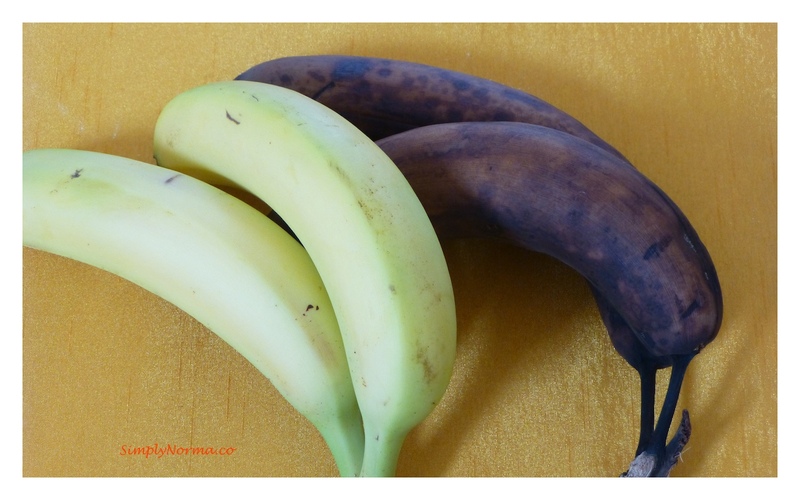 What’s interesting about this recipe is that you don’t have to use ripe bananas. The recipe calls for four eggs. I have a little compulsion about bringing the eggs to room temperature before using them in recipes. I believe they make a big difference in the flavor of the recipe. 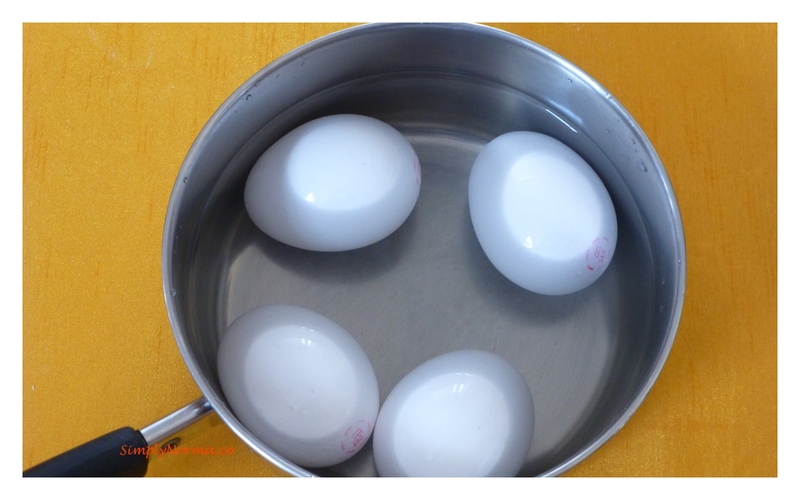 So, what I do is put hot water in a pot and put the eggs in them for a couple of minutes. 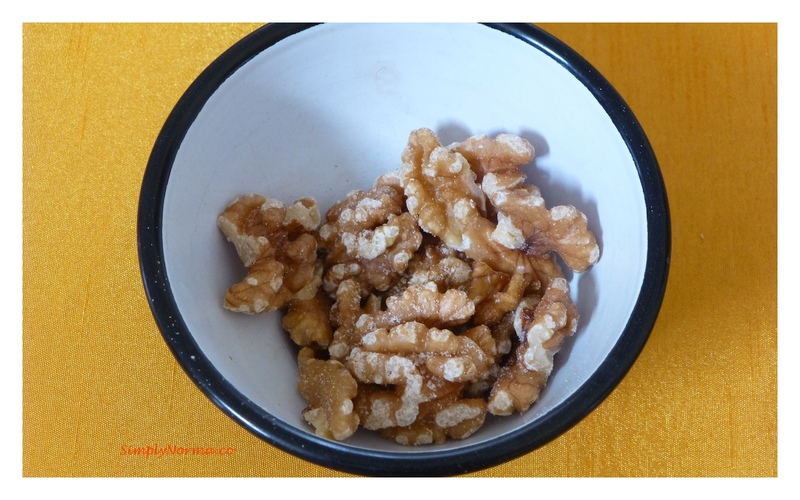 I also decided to use 1/3 cup of walnuts. Just because (smile). So … ready to check out the recipe? Preheat your oven to 350° Fahrenheit. 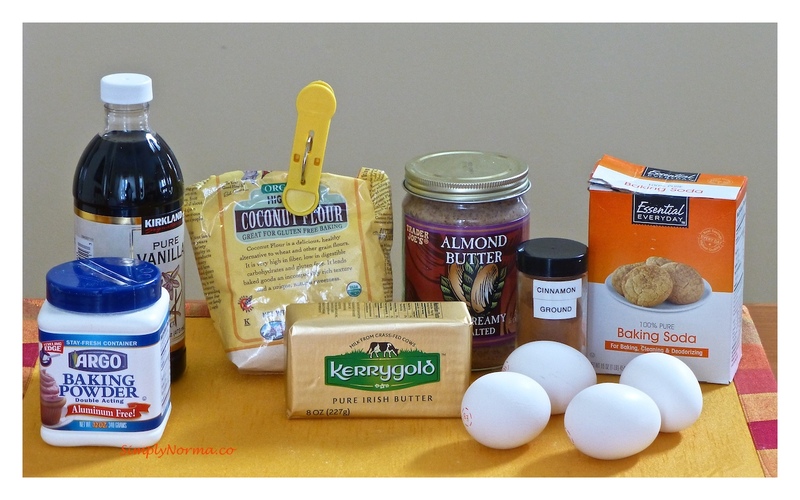 Combine the bananas, eggs, almond butter and regular butter in a food processor then mix at medium speed until everything is combined. Add the coconut flour, cinnamon, baking soda, baking powder, vanilla, and salt to the banana mixture and mix well. 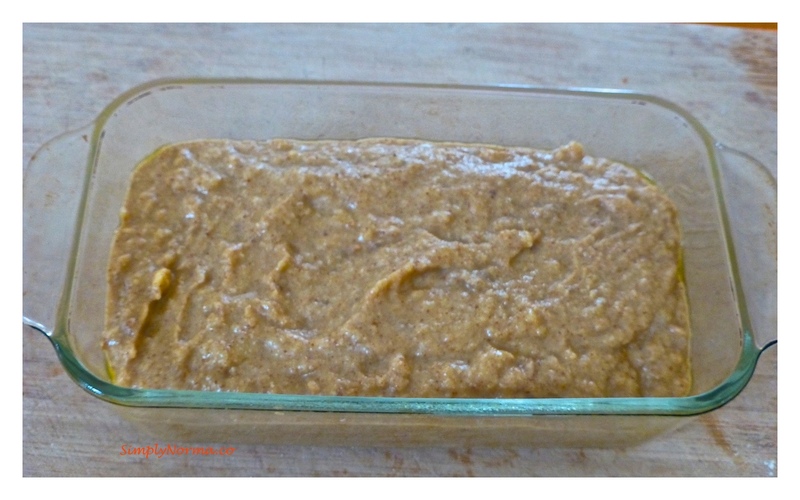 Grease a loaf pan with olive oil spray then pour the batter into the pan. Take the loaf out of the oven when completely baked and allow it to cool for 30 minutes then remove the loaf from the pan and place onto a platter. Hope you enjoy this as much as we did. Special thanks to Civilized Caveman Cooking for this recipe.